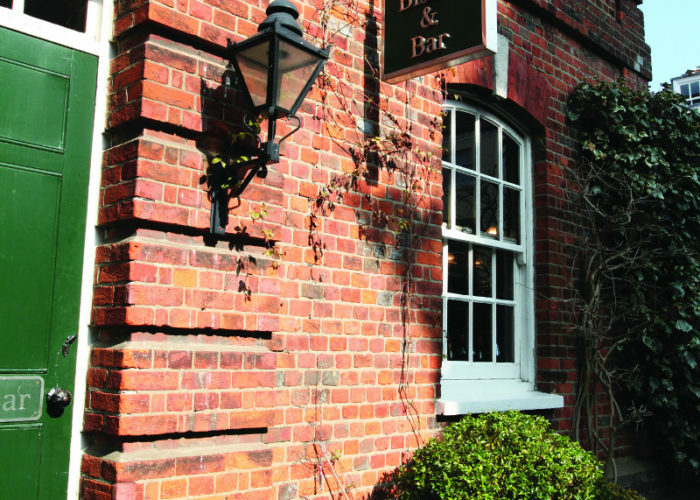 Thank you for your interest in Hotel du Vin & Bistro – Winchester! Alternatively, simply fill in your name, email address and phone number in the form below and we will call you back to confirm. Please contact the restaurant for further details. 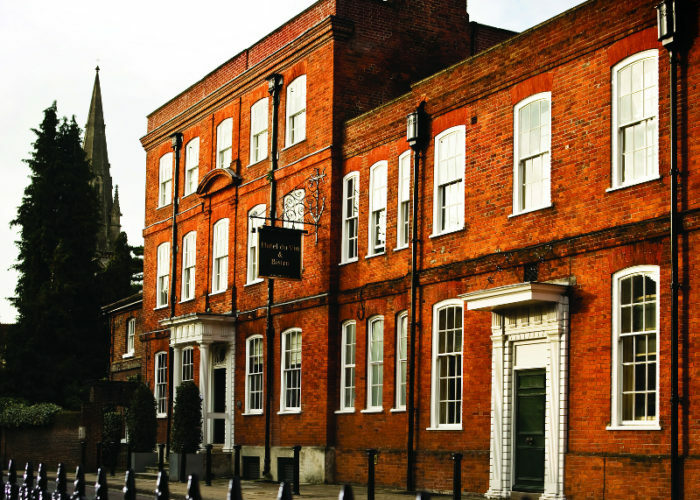 The first Hotel du Vin is located in one of central Winchester’s most impressive Georgian buildings. 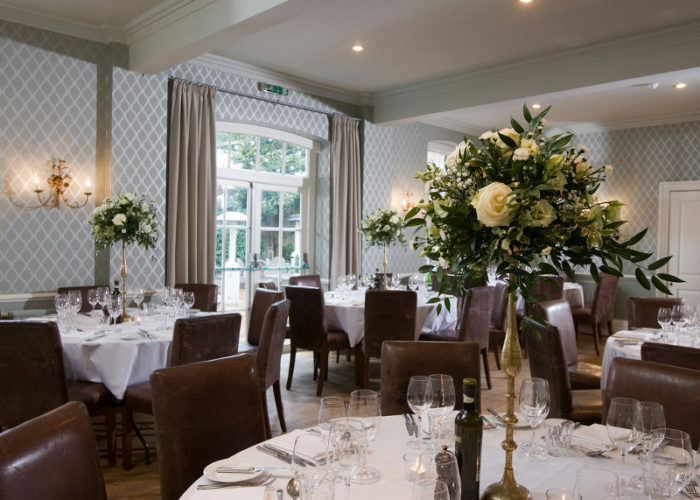 With 24 luxurious bedrooms, you’ll notice an intimate feel throughout, as you explore the cosy bistro, lively bar and walled courtyard garden. 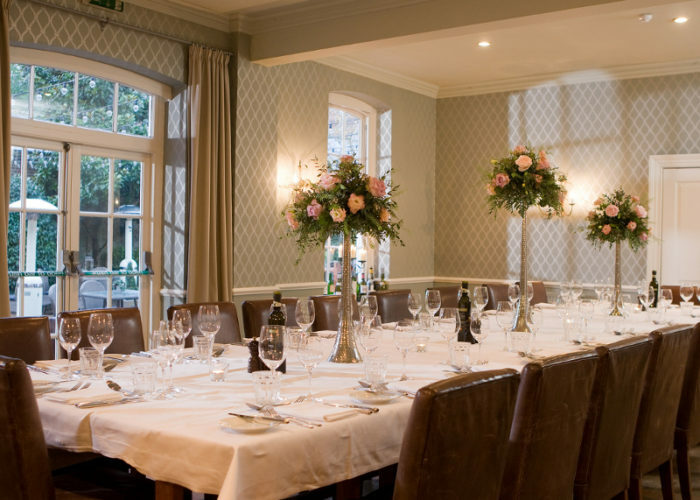 And when you choose our private dining room, we’ll take extremely good care of you and your guests. 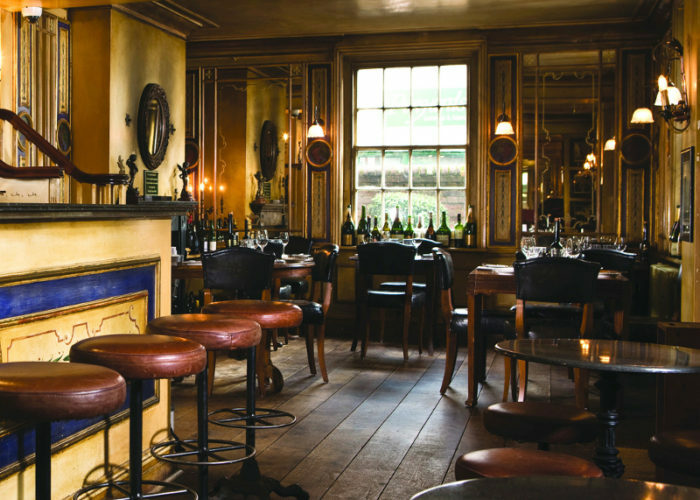 Ruinart can seat up to 48 people for dinner or 70 for a drinks reception. Natural daylight and traditional French doors to the garden add a relaxing, airy feel to any occasion. 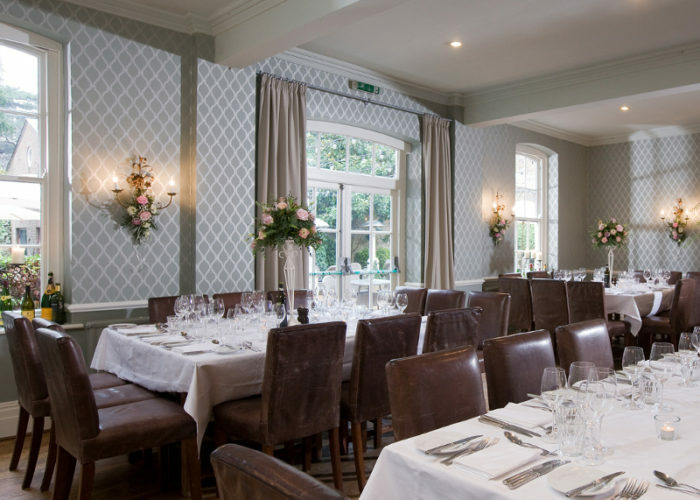 This is the ideal space for celebrating with great food, superb wines and good company, while our experienced events team looks after every detail. If any guests want to stay overnight, 24 timelessly styled bedrooms and stunning suites offer luxurious handsprung mattresses, fine Egyptian linen, deep baths and powerful drench showers – plus flat screen TVs and air conditioning.